With electronics seemingly taking over our lives, it is great to take a break from it all and spend a few days enjoying the nature around us. Dust off your tent or clean out your camper van and start planning for a new adventure. 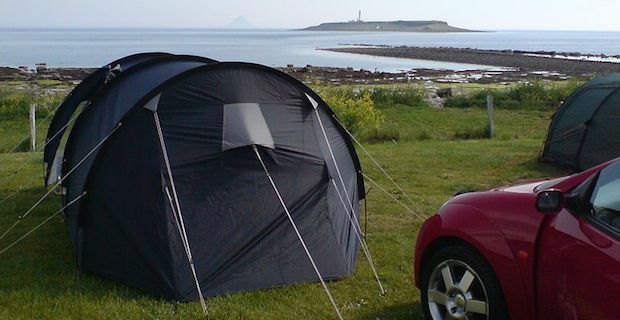 If you are on a budget for camping or campervanning fear not as there are many free places to camp in the UK. Bothies are small basic huts in mountainous regions of Britain that are open to anyone at anytime free of charge. With only a fireplace, a few chairs and a designated sleeping area, they aren’t luxurious by any means, but they provide adequate shelter from the weather. There is also usually a natural source of water nearby to refill your bottles but you will need to find your own firewood and a place to bury your excrement. Various hiking guidebooks and websites will give you a selection of bothie locations around the UK. Those that enjoy carrying in a tent and pitching up for the night will not have any trouble finding wild camping spots in Scotland. In England and Wales, it is not legal to wild camp, but you will have no such issues in remote parts of the highlands. As always, make sure you carry out everything you carried in and try and not stay more than 3 days as this can start affecting the local vegetation. Check out www.wildcamping.co.uk for more information. Caravanners also have many free options. When you are driving through British towns, keep your eyes peeled for “long stay car park” signs as these are places you can legally park up for the night. The scenery might not be breathtaking, but they make for a fine place to rest. Local pubs might allow you to stay if you park out of the way or Tesco outlets are usually okay with staying as well if you only stay for one night. One of the best options for caravanners is to become a member of the Brit Stops Motorhome Stopover Scheme. This is where local businesses allow motorhome owners to stay on their property for at least 24 hours. Some participating places include vineyards in Kent, organic farms in Devon, local breweries in Yorkshire Dales and many more unique locations. It is a great way to encourage a positive relationship and business between visitors and producers.